From left to right, the candleholders represent the biblical expulsions from Egypt (the obelisk); Roman Palestine (Hadrian's victory column); France (1310); England (1290); the Spanish Inquisition (1492); the emancipation of Jews in Vienna (1890); pogroms in Russia (c. 1900); and the concentration camps in Germany during WWII. Starchitect Richard Meier is now in the Judaica business, sort of. He recently designed a limited edition menorah and series of mezuzahs for The Jewish Museum in New York. 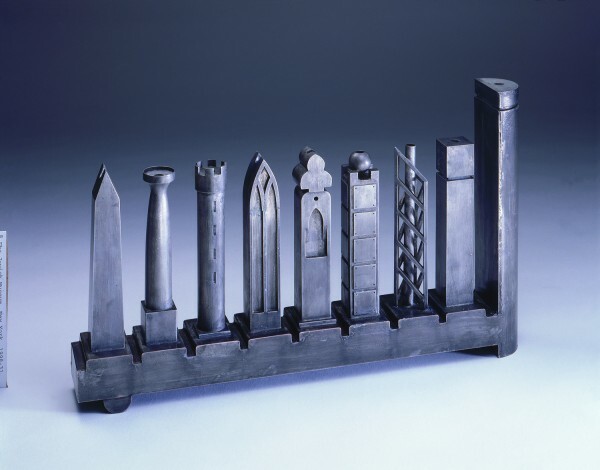 The menorah is based on the Meier Lamp, a piece that was originally commissioned by the Israel Museum in 1985. And just in time for Hanukkah (which begins December 1st), this limited edition menorah can be purchased through The Jewish Museum Shop. Meier’s menorah is part of Design Edition JM, the first curated collection of modern Judaica by contemporary artists and designers. And he isn’t alone wading into the (holy) waters of the Judaica market – Daniel Libeskind, Karim Rashid, and Jonathan Adler have also designed menorahs for that were available at Jewish museum shops. What inspired Meier (who himself is a member of the tribe) in his design? A collective memory of suffering and anti-Semitism. 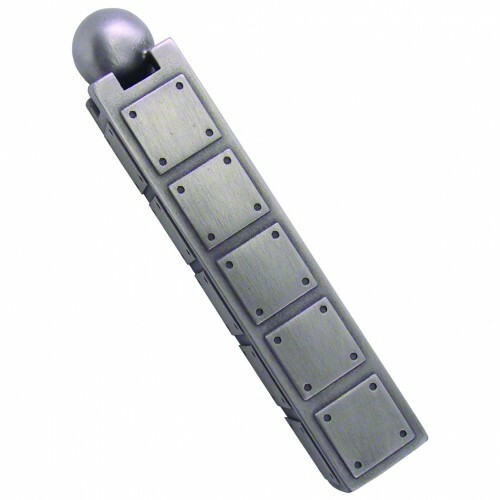 If your still want to own a little Meier and the $1,000 menorah is out of your price range, think smaller and think lintels – the architect also designed three pewter mezuzahs based on the English, Spanish, and Vienna towers found on the menorah. Retailing for around $125, they will be available for purchase exclusively through all three brick-and-mortar Jewish Museum Shops in New York City as well as online.